With the industrialization of the food industry over the past 100 years, our bodies have had to deal with a lot of changes. Potential stressors, such as processed foods, confusing dietary recommendations, and drastic changes in food production methods has resulted in the human body’s inability to keep up!. This manifests physically as allergies, sensitivities, and intolerances to various foods. Issues occur with digestion, as well as the absorption of nutrients needed for optimal health. Instead of just removing the symptoms (bloating, gas, skin rashes, etc), functional medicine focuses on the CAUSE of these imbalances. For instance, if someone with a nut allergy eats nuts and their skin breaks out, functional medicine will provide a natural solution to not only the skin swelling but also the immune system response.The overreaction to the proteins ingested can be combated by increasing immune efficiency through dietary and lifestyle changes. If you’re seeking to eliminate adverse food reactions and boost your overall immune health, functional medicine WILL help you. 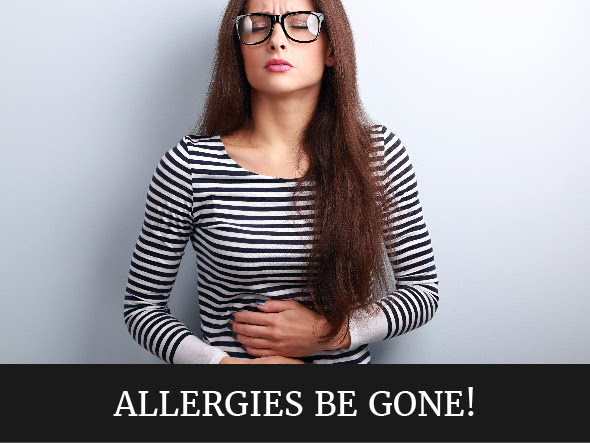 By explaining things such as elimination diets, environmental stressors, and evolutionary changes in organic human health, functional medicine will aid in the relief of your allergy symptoms as well as ensure they will not hinder your life going forward. 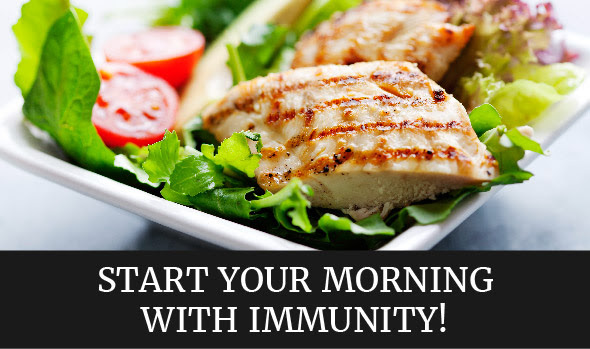 As previously mentioned, in order to ensure your body is protected against allergens, it is vital to strengthen the immune system. If you’re curious about which foods might be causing your reactions, eliminating one food at a time (for at least two weeks at a time) will help you properly identify what could be causing your discomfort. The following recipe does not contain any of the common allergens (dairy, gluten, and eggs) and is a healthy immune-boosting meal the whole family will love!! Want more amazing recipes? Check out some of my favorites on my Plan to Eat. I absolutely love this app! Not only does it make finding my recipes easy, but it helps me meal plan… and BEST part… it makes my shopping list for me!!! All I do is open my app or print it out. Such a great time saver! Being mindful of what you are eating is key, but you can also make sure that you are drinking enough water. You should be drinking at LEAST 50% of your body weight in water. (Ex. if you weight 130lbs, drink 65oz.) I enjoy mixing different essential oils in my water so that I don’t get bored with it. Plus the oils help detoxify my body! Here is my current FAV. recipe: Get the oils here. EXCERCISE!!!! Movement is key to getting that gut healthy and moving. Be sure that you are getting at LEAST 20mins of active movement (heart reate UP) each day. If you are interested in a FREE 14 day excersie, nutrition, spiritual growth plan, comment below! PRAYER! God is the ultimate healer and knows your condition better than any doctor. Take your request to God and let Him give you the wisdom you need to search for in order to combat your allergies. I prayed for 6 years! I didn’t just expect God to heal me though, I took ACTION. I used my resources and I did my research. God gives us resources to USE, not to just read and forget about. Implement, experiment, and help your body recover. It took 6 years of doing all this, and ONE special night of intense healing prayers from a group of young adults who had all seen me suffer from my gluten intolerance. They loved me through the process and celebrated with me. So, if you eant prayer, comment below or send me a personal message. I would love to stand with you through your search for restoration. Previous Post Are You Mindful?